Equipped with the latest version of the operating system Windows Phone 8.1 combining a 1.2 GHz QuadCore processor , with two SIM cards slots and a 13.1 million pixels camera to render the best of the image, Monaco 47 smartphone will appeal to the most demanding customers , through its unique design. A touch of elegance to this exceptional case with its interchangeable battery covers ” Leather Touch ” branded MONACO , available in 3 colors in addition of your case portfolio that ensures you take your smartphone anywhere with discretion. “We are extremely proud of our Monaco officially licensed 47 smartphone which, thanks to our agreements with Microsoft , makes this the thinnest and lightest Windows Mobile range . It is particularly refined to meet the requirements of the brand of the Principality of Monaco with 3 battery cover and case portfolio , all manufactured with “Leather Touch” design. It will be equipped with all the applications partners MONACO Brand companies. ” said Robert Schiano, CEO of Avenir Telecom, the exclusive licensee of Monaco World Brands for smartphones and exclusive distributor of the brand Yezz in Europe, Africa , Middle East and Russia. Yezz is an international manufacturer of mobile devices , designed with the goal that every consumer can freely choose a smartphone or tablet corresponding to his lifestyle. Founded in 2012 in Miami , it took a little less than two years of innovation and perseverance in Yezz to become a leading brand in Latin America. Thanks to its partnerships with leading software vendors and telecommunication Yezz offers its customers more and more design and performance. As the creator of the philosophy of ” Freestyle Mobile ” Yezz designs appliances ultrathin design, cutting-edge fashion, thus combining all consumer needs in entertainment or professional use it all with Freestyle * . Yezz offers a wide selection of phones running Android and Windows Phone operating systems, and a wide range of colors and screen size. 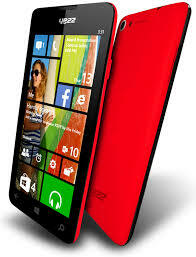 Yezz has distinguished itself by running in February 2014 the first phone to less than 19 euros with WhatsApp integrated in March 2014 the first mobile octocore Europe and in September 2014 the thinnest Windows Phone in the market, for the first time. To always satisfy its customers , Yezz includes accessories with most of the mobile such as: charging bases , protective cases, interchangeable covers to personalize your phone . We are intrigued by Yezz’s devices and would love to test and review some of them!! Be the first to comment on "Preview of the Yezz Monaco 47 Windows Phone"